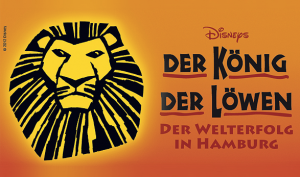 “The Lion King” is a Broadway-Musical from Elton John and Tim Rice. It is based on the Disney movie from 1994 and is performed multiple times a week at the Hamburg harbour. 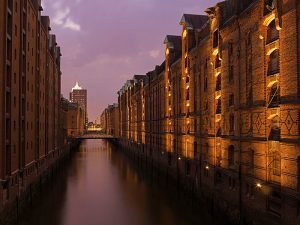 Experience the “Hamburg Speicherstadt” during a harbour tour. “Speicherstadt” is a historic warehouse in Hamburg harbor and is under monumental protection since 1991. Since the 5th July 2015 it also is on the list of UNESCO world heritage. Hamburg is well known for its nightlife. Whether you go to the “Reeperbahn” or the old town , you will find many ways to spend your evening. In the “20-up bar” in the “Empire Riverside Hotel” in “St. Pauli” you have an incredible view. Especially during the night it is ideal to enjoy a drink at this fantastic location. The international airport of Hamburg is located 8.5 km north of the city. It is a 20 minute drive from the city center and is opened 24 hours per day. It is the oldest airport in the world which is still located at its originial place. The airport provides perfect accessability for a private jet or an air taxi. Fly in a private airplane to Hamburg and experience the luxury of personal transportation! Click here and head to the Fly Aeolus pricecalculator, there you can also check from which airfield in your neighbourhood Fly Aeolus can depart from.